My name is Darren Michaels and I am one of two Project Lead The Way/Gateway to Technology (pre-engineering) teachers here at Moultrie Middle School. This is my 19th year in the classroom and my 5th year teaching the PLTW "Gateway To Technology" (GTT) curriculum. I am always excited to teach and learn and I want to thank you for sharing your young scholar with me this school year; we are going to have a lot of fun learning and building! Students in my 6th-grade classes will be introduced to "Green Architecture" and they will learn the basics of architecture, design, and the building process. Students will use industry architectural 3-D software called Autodesk Revit where they will design and build their very own dream home in 3D. They will be building a number of structures as they learn the processes of architectural design and they will complete their final project by building a real, wooden shed. Students in my 7th-grade classes will be learning all about Flight & Space as they will be building numerous flying machines including hot air balloons, helicopters, airplanes, and rockets while they learn the concepts of flight. This is truly a hands-on learning experience that they will never forget! My 8th-graders will have the opportunity to learn two of the most fascinating subjects (in my opinion) in education today; in fact, many middle schools, high schools, and even some colleges don't even offer them...they are Medical Detectives and Forensic Science. In this class, students will be introduced to the professions of medical detectives and of Crime Scene Investigators (CSI's)! In Medical Detectives, students will do a "deep-dive" into human body systems, vital signs, the senses, pathogens that cause various diseases, bacterial and viral outbreaks, the human brain (yes, we conduct a brain dissection this year! ), and DNA analysis. This background will then lend itself perfectly into our second 9-weeks topic of Forensic Science. Students will pick up where they left off in Medical Detectives by learning what it takes to become a real-life CSI! Students will be investigating numerous cases ranging from theft, art forgery, computer hacking, counterfeiting/handwriting analysis, and even a few crime scenes involving a possible homicide. In this class, students will be lifting latent fingerprints, conducting blood splatter analysis, gathering DNA for analysis, looking at autopsies (don't worry, they are cartoons), and many other crime scene techniques used by CSI's in the field. Learning all things "STEM" (Science, Technology, Engineering, & Math) is my passion and I want to pass on this desire of learning on to all of my students. I believe that our PLTW curriculum is rigorous, yet engaging and is taught with a "hands-on" approach giving ALL students the opportunity to learn and find success while having fun! I am looking forward to a fantastic quarter or semester with your young scholar and please don't hesitate to contact me with any concerns or issues that may arise this year. Please feel free to join our classroom as we learn about engineering, architecture, green energy, flight and space, biotechnology, and Forensic Science this year! 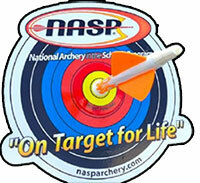 I am the club sponsor and instructor for the National Archery In the Schools Program (NASP) and I will be starting an Archery Club in the Fall that will meet one day a week after school.